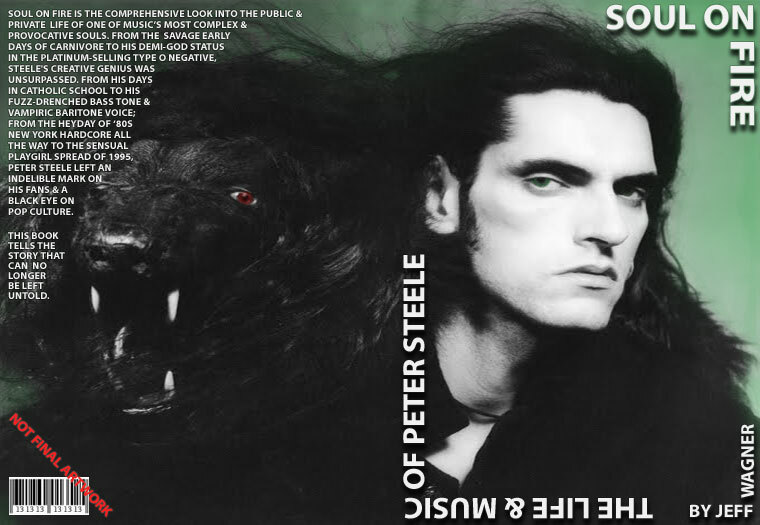 Renowned metal journalist and industry veteran, Jeff Wagner, is currently working on a biography on TYPE OF NEGATIVE/CARNIVORE frontman Peter Steele. Culled from a variety of sources, including recollections from band mates, family, close friends and record label reps, Soul On Fire is an accurate account of Steele’s creative genius and incredibly complex personality. Steele was a visionary and a provocateur; a generous friend and a self-deprecating hedonist; a band mate and a brother. His struggles with addiction and his acceptance of the Catholic faith he grew up with and then grew out of…all of this is surveyed and detailed within Soul On Fire. The book is due for publication in October, 2013 via Bazillion Points. Bazillion Points Books is proud to announce the late 2010 release of MEAN DEVIATION: Four Decades of Progressive Heavy Metal, by Jeff Wagner – a former editor of Metal Maniacs magazine and veteran supporter of metal’s most risk-taking bands. Wagner analyzes the heady side of metal in this exhaustive history of a relentlessly ambitious musical subculture. The book features extensive original artwork throughout by VOIVOD drummer Michel “Away” Langevin, including the lavish front cover. Beginning with 1970s progressive rock acts RUSH and KING CRIMSON, MEAN DEVIATION unfurls a colorful tapestry of sounds and styles, from the “Big Three” of 1980s prog metal-QUEENSRŸCHE, FATES WARNING, and DREAM THEATER – to extreme pioneers VOIVOD, WATCHTOWER, and ARCTURUS. As sparks of inspiration spread to obscure outposts in Scandinavia, Florida, and Japan, progressive metal burst into full creative flame with the successes of prog metal overlords OPETH, MESHUGGAH, TOOL, BETWEEN THE BURIED AND ME, and many others.